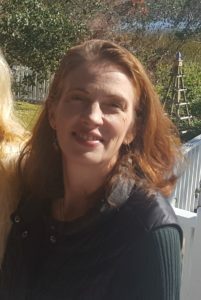 This year Extension Master Gardener℠ volunteer program of Carteret County present Heather Kelejian, Executive Director of the Ability Garden in Wilmington, NC. Heather developed a love of plants and being outside from a childhood spent with her Grandmother, who had a bountiful garden every year. This has lead her to a career in therapeutic gardening at the Ability Garden in New Hanover County. 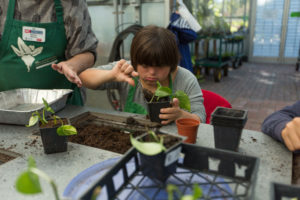 Working with the Ability Garden since 2004, initially as a Master Gardener volunteer, a Horticultural Therapy Intern, and Program Director, she is now the Executive Director. She is a member of the Coastal Compost Council, the Carolinas Horticultural Therapy Network, the Blue Ribbon Health and Wellness Committee, and a Board Member of Canines for Service. Heather will present a program on accessible gardening for older adults, people with limited mobility, and all gardeners wanting more manageable gardens with less maintenance. Gardening increases physical activity, creates opportunities for socialization and provides place making for community activities. Doors open at 9:30 a.m. for light refreshments Speaker begins at 10 a.m.
For more information contact: Jane Wolff (252)726-2170, mjwolff@ec.rr.com or Sharon Miller (252) 222-7697, sharon.w.miller@gmail.com. Accommodation requests should be made by January 23, 2019, to Shawn Banks, (252) 222-6352, shawn_banks@ncsu.edu. Looking for a specific person? Try the Carteret County Center Staff Directory, or the Full Directory for N.C. Cooperative Extension.